Now that oil prices are stable and above $50 per barrel, the energy industry’s depleted workforce is being called back into the field, particularly in the Permian – but there are far fewer candidates with an ear to the ground. As many as 350,000 oilfield workers lost their jobs during the downturn, which stretched beyond two years in a much lower for much longer down cycle. But the U.S. rig count is on the upswing, led by a frenzy in the Permian Basin, and companies need bodies at the wells. Those companies that recognize its time to staff up will likely find the workforce needed to charm the hydrocarbons from the earth, said Jeff Bush, founder of CSI Recruiting. But for those companies slower to respond, there will likely be problems finding talent. By virtue of senior talent opting for retirement, professionals who left the industry and few new grads among the current workforce, the industry’s overall pool of talent declined, he said. 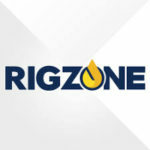 Oilfield service (OFS) experts say the squeeze has already arrived in the Permian. West said that in the Permian, hiring lead times have increased 50 percent from 30 days to 45 during the last two months; and it may increase to 60 days by the second half of the year. Still, there is light at the end of the tunnel, he explained. “Despite the labor-related hurdles that NAM has experienced in the early-going of the upcycle, we believe swift service pricing increases will lead to even more robust hiring and training efforts (where the large-cap diversifieds have a distinct competitive advantage),” he said. “E&P’s will throw enough money at the NAM labor problem to bring the sector back to equilibrium, sacrificing capital efficiency to hit production targets.